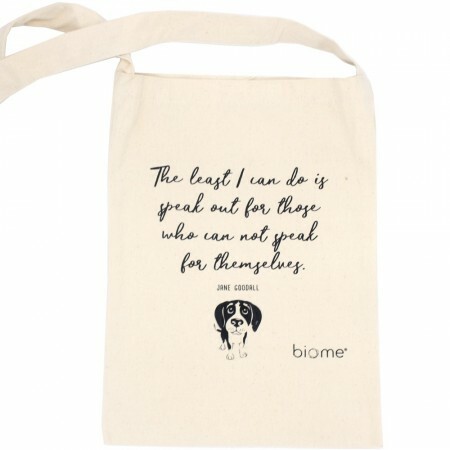 A slim tote bag from Biome, made from GOTS certified organic cotton. Small enough for everyday use, and large enough for books or a laptop. Jane Goodall quote and beagle cartoon feature on front of the bag. The least I can do is speak out for those who can not speak for themselves.